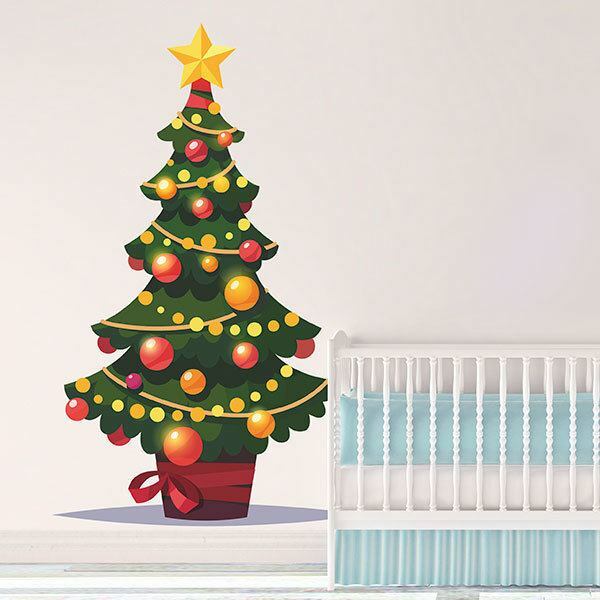 Kids wall sticker Tree with Christmas decoration. Nice Christmas tree with balls and ribbons. At the top a star stands out and at the bottom is adorned with a red ribbon. 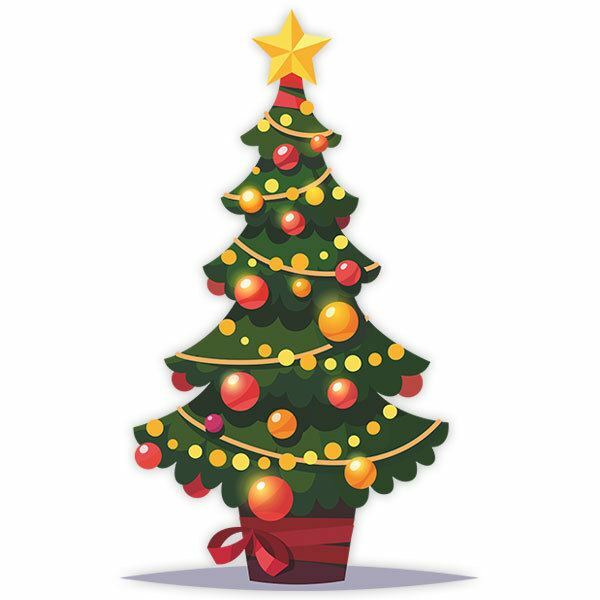 The tree is a custom that many of us enjoy as a family and becomes the center of attention and joy. Size: 56 x 44 cm. 11.81 x 18.90 in. 15.75 x 25.20 in. 19.69 x 31.50 in. 23.62 x 38.19 in. 27.56 x 44.49 in. 31.50 x 50.79 in. 35.43 x 57.09 in. 39.37 x 63.39 in. 43.31 x 69.68 in. 47.24 x 76.38 in. 51.18 x 82.68 in.